Extend message and product education to lift retail sales and improve brand loyalty. A national pharmacy chain was looking for a way to deliver targeted product information and special offers to customers right at the point of sale. We used our proprietary human avatar technology to create an interactive virtual shopping assistant to improve the in-store customer experience. 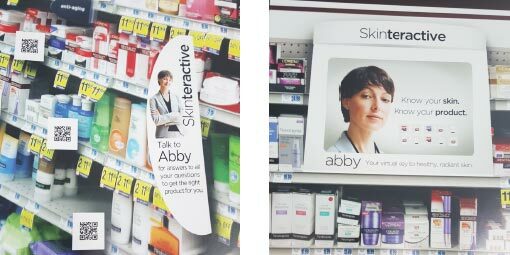 Accessible by scanning a QR code located next to any product on the shelf, the avatar would instantly come up on the customer’s smartphone to answer questions about the product, deliver coupons or other relevant offers, even add coupons right onto a loyalty card for savings at checkout.